In the recent decision of Morinaga Nyugyo Kabushiki Kaisha (Morinaga Milk Industry Co., Ltd.) v. Starbucks Corporation D/B/A Starbucks Coffee Company  SGIPOS 18, the Intellectual Property Office of Singapore explored two intriguing issues concerning trade mark opposition proceedings: whether a trade mark proprietor can oppose the registration of a later competing mark because the latter shares a similar colour scheme and layout with the former mark, and whether the use of geographical references in a mark which have no connection to the goods to be sold under the mark will result in public deception. Although an appeal to the High Court cannot be ruled out, this decision provides useful guidance, at least for the time being, to trade mark proprietors on the use of colours, layouts, and geographical references in trade marks. Morinaga Nyugyo Kabushiki Kaisha (the “Applicant”) is a Japanese manufacturer of dairy products. It applied for the registration of the trade mark as shown in the attached file (the “Applicant’s Mark”) in Singapore in respect of certain goods under Classes 29 and 30. However, its registration was opposed by Starbucks Corporation D/B/A Starbucks Coffee Company (the “Opponent”), a roaster and retailer of specialty coffee. The Opponent relied on the absolute grounds for refusal in sections 7(4)(b) and 7(6), as well as the relative grounds of refusal in sections 8(2)(b), 8(4) and 8(7)(a), of the Trade Marks Act (the “TMA”). The IP Adjudicator, Lorraine Anne Tay, selected the most relevant of the eight registered marks that the Opponent relied on, as shown in the attached file (the “Opponent’s Marks”) to compare against the Applicant’s Mark for similarity. She then held that where an application mark was represented in black and white, colour would not be relevant in assessing visual similarity between two competing marks. Any considerations of the fair and notional use of the application mark would arise only when the likelihood of confusion on the part of the public was assessed. Conversely, where an application mark and opponent’s mark were in colour, it seemed that colour would be a pertinent factor in the marks-similarity analysis. Next, while the Opponent pointed out the similarities in layout and arrangement between the competing marks, the Adjudicator dismissed the Opponent’s arguments for two key reasons: First, the concentric circles layout used in the Applicant’s Mark was de minimis and not a dominant feature of the Opponent’s Marks. This was because the layout was a simple device that was relegated to forming a portion of the background. Secondly, even if there were similarities in colour and layout, such similarities were dwarfed by the differences in the figurative and textual elements between the Applicant’s Mark and Opponent’s Marks. It is submitted that an exception arises where the colour and / or layout of a mark are so distinctive that they will be perceived by the public as the dominant components of the mark. The upshot is that trade mark proprietors should consider using unique colours, colour combinations, and / or layouts in the marks that they register. This will allow them to have a stronger case when opposing third parties’ subsequent registration of marks that replicate such features. Although goodwill could be established, the Adjudicator held that the use of the Applicant’s Mark would not amount to a misrepresentation by the Applicant as to trade origin. This was because the distinctive components in the Opponent’s Marks were not the concentric circles layout or colour, but the mermaid device (figurative element) and / or word “STARBUCKS” (textual element), which were absent in the Applicant’s Mark. Also, while the Opponent adduced evidence of alleged actual confusion among members of the public, such evidence had to be viewed in the appropriate context and treated with caution. In determining the test for deception, the Adjudicator drew guidance from several English cases, given the dearth of local case law adduced by the parties on the matter. She held that the applicable threshold for deception is that of a “real tangible danger”. Additionally, she helpfully summarised the relevant factors that may be considered in the analysis, viz, (a) the nature of the mark and the impression it communicates / conveys to the public; (b) the nature of the goods claimed; (c) the connection that the geographic reference has with the goods claimed; (d) the knowledge and characteristics that can be attributed to the public; and (e) the trade / industry practice. Applying the said test, the Adjudicator dismissed the Opponent’s assertion that the Applicant’s Mark falsely implied that the Applicant’s products originated from or were connected to Seattle. This was because Mt. Rainier was not synonymous with Seattle, and from the perspective of an average Singaporean, had little, if any, connection, with the coffee products that the Applicant intended to sell under the Applicant’s Mark. Also, while the word “SEATTLE” appeared in the Applicant’s Mark, it merely added colour and context to the words “Mt. RAINIER”. Moreover, it was common industry practice among food and beverage businesses to use geographical names or icons in their trade marks, whether the products originated from those places or not. Finally, even if a prospective purchaser of the Applicant’s products were to casually inspect the Applicant’s Mark, he would not be likely to over-analyse the mark and focus on its geographical elements. Rather, in the absence of a statement regarding the product’s geographical origin, he would only make a fanciful association between Mt. Rainier and the product. Although the competing marks in question are admittedly dissimilar in several aspects, it is submitted with respect that the Adjudicator should have been slow to dismiss the evidence of actual confusion adduced by the Opponent. First, the nature and context in which the comments were made may have suggested an awareness that the Applicant’s Mark and Opponent’s Mark did not originate from the same trade source (see ). However, the “misrepresentation” requirement in a passing off inquiry includes not just misrepresentation as to source, but also misrepresentation as to connection or association between a plaintiff and a defendant (see Mobil Petroleum Co, Inc v. Hyundai Mobis  SGCA 38 at -). Therefore, the members of the public who had made the comments might, despite knowing that the competing marks came from different sources, still have been under the impression that the Applicant was connected or associated to the Opponent; this possibility was noticeably not contemplated in . Secondly, greater weight should be given to evidence of actual confusion for a passing off inquiry as compared to an inquiry under s 8(2) of the TMA. This is because the former inquiry is, as acknowledged at , broader in nature, and allows for the consideration of all the circumstances of the case instead of just factors relating to mark-similarity or goods-similarity. Thirdly, the test for proving misrepresentation under passing off is the likelihood of deception [emphasis added]. Even if the public comments made in blog articles did not directly show actual confusion, they arguably evinced a likelihood of confusion among members of the public, which is a lower threshold to fulfill. That said, in light of the Adjudicator’s decision, a trade mark proprietor seeking to prove actual confusion should adduce the following (where possible) in order to craft a more compelling case: Market surveys that reflect actual confusion (Susanna Leong, Intellectual Property Law of Singapore (Academy Publishing, 2013) (“Leong”) at [35.144]); statements by authors who have given their real names and who are not difficult to trace; and quotes found in published documents and printouts from official websites, rather than from other pages on the Internet. It can be argued that the Opponent should have succeeded on the ground under s 7(4)(b) of the TMA. This is because a substantial number of members of the public, having seen the words “Mt. RAINIER” and “The Mountain of Seattle” in the Applicant’s Mark, would be likely to draw a connection between the Applicant’s goods sold under its mark, and Seattle. The Adjudicator held that Mt. Rainier was not synonymous with Seattle (see ), and therefore there would be no expectation amongst consumers in Singapore, after seeing the image of Mt. Rainier in the Applicant’s Mark, that the Applicant’s goods originated from Seattle. However, insufficient weight was given to the Applicant’s own admission that Mt. Rainier symbolised Seattle (see ). It thus cannot be ruled out that some consumers would associate Mt. Rainier with Seattle, and hence conclude that the Applicant’s goods originated from, or are at least connected to, Seattle. Next, there is nothing to substantiate the conclusion that the Singapore public, having been exposed to the branding concepts mentioned in , would be able to tell that the products under the Applicant’s Mark did not originate from Seattle (see ). The fact that the inclusion of unrelated geographical origins in trade marks has been accepted as industry practice does not mean that members of the public would not be deceived as to the geographical origin of a particular good (see ). Additionally, the analogy drawn vis-a-vis the English case of Smirnoff Trade Marks  RPC 16 (see ) needs a relook. In Smirnoff, the Hearing Officer commented that it was “common within the trade to promote a Russian connection with the goods concerned, regardless where the goods were produced” [emphasis added]. This observation, if transposed to the present case, should not be widened in its ambit. Rather, the Adjudicator should have considered whether it was common for traders within the food and beverages industry to promote a Seattle connection (as opposed to promoting any geographical connection) with the goods concerned, regardless of where the goods were produced. If the answer is in the negative (which is likely to be the case), then the public cannot be expected to know that the use of a reference to Seattle does not mean that the product is connected to Seattle. Also, the inclusion of the words “Mt. RAINIER” and “The Mountain of Seattle” in the Applicant’s Mark may have been because of the Applicant’s brand story; that said, there is nothing to evince that the Applicant had adduced evidence showing its publicising of its brand story such that no likelihood of deception would occur upon the public’s viewing of the Applicant’s Mark. Further, the purpose of trade marks is to provide consumers with product information to help “reduce consumer search costs and increase market efficiency” (Leong at [27.038]), as well as to safeguard consumers’ interests. The onus should not be on consumers to find out whether a trader is using a geographical reference in his mark by reason of his goods’ origin or connection with a particular geographical region, or because the geographical reference is merely part of the trader’s brand story. Latest compilation of publications by academics from NUS and SMU for the period July to December 2018. Cohabitation before marriage – do those years count? Satisfying the equity in proprietary estoppel: expectation, or reliance, or both? Satisfying the equity in proprietary estoppel: expectation, or reliance, or both? When is an Ouster Clause Ousted? 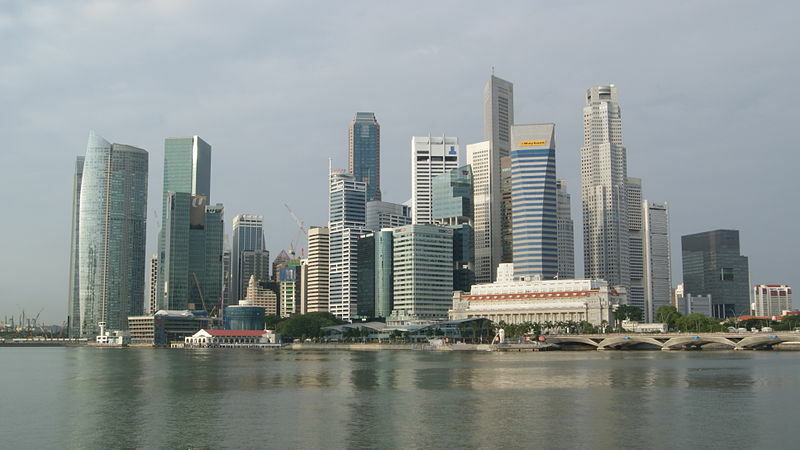 Deferred Prosecution Agreements in Singapore? Examining the “special circumstances” test in BLY v BLZ  SGHC 59: when should jurisdictional challenges result in stays of the arbitral proceedings? To Infinity and Beyond: Where to Next for the Court’s Inherent Powers? Does the Obligation to Obtain the Consent of a Third Party Extend to Taking Further Steps After Rejection? Singapore Law Blog Featured in the Straits Times! Is a Contractual Clause Excluding a Right of Set-Off Subject to the Requirement of Reasonableness in the Unfair Contract Terms Act? Singapore Law Blog is Now Mobile-Friendly! Was Singapore Airlines Liable for Business-Class Seats Sold at Economy Rates? Sign up for the Singapore Law Blog Mailing List! The Presumption of Resulting Trust: A New Era? Copyright © 2015 Singapore Law Blog. All rights reserved.